Heat your non-stick skillet or griddle to medium Heat. Brush your Skillet with either oil or butter and then drop the batter by 1/4 cup fulls into the skillet. Took about 2 minutes or until bubbles form on the pancake and the bottom is cooked. Turn flip the pancake and cook another 1 minute or two minutes, depending on how hot your grill is. I made mine with two fresh eggs and it gave a nice fluffiness to the pancake. I served mine with orange flower honey and a little smear of I Can’t Believe It’s Not Butter light, which is an outstanding, non GMO, healthy butter substitute. You can top the fluffy cakes with pure maple syrup or drizzle with honey or you can sprinkle them with cinnamon and confectioners sugar. Top with fresh fruit like raspberries or fresh strawberries or blueberries… Whatever you like! 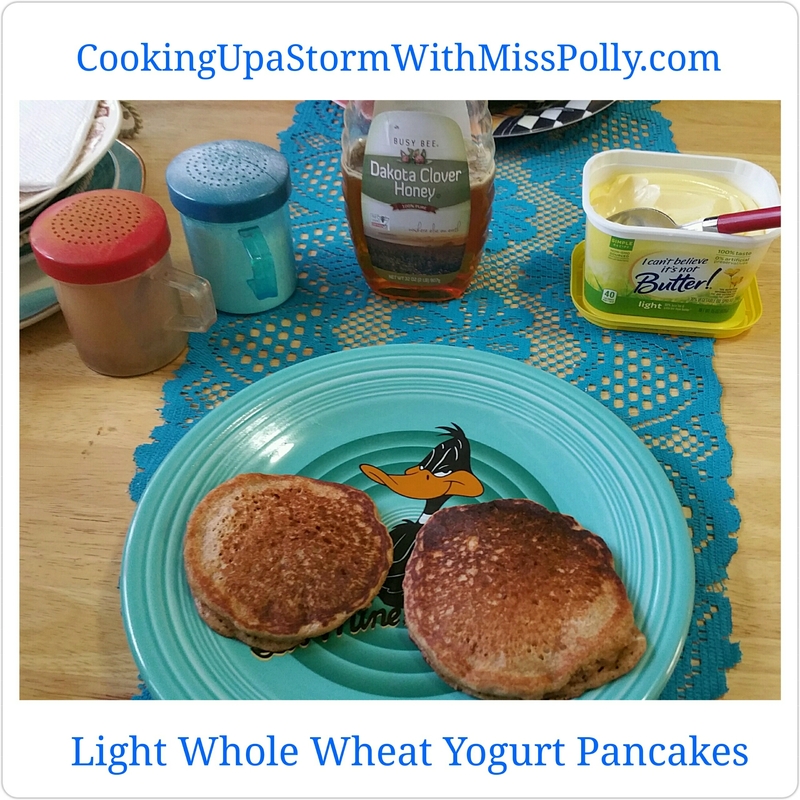 This recipe was adapted from the recipe called “whole-wheat pancakes” in the book called “Cooking and Baking with Greek Yogurt” from Favorite Foods with Less Fat by Favorite Brand-name recipes.